If you’re still looking for hot looks of 2017, you’re living in the past girl. We’re over this year and are looking into the future here. That’s why we thought it would be a good time to talk about beauty trends that are gonna rock 2018. We’re not fortune tellers or witches, but we foresee a lot of bold looks, glitter and gorgeous glossy faces for next year. Go ahead start practising these new looks, so by the time it’s 2018 – you’re a pro. Not to be confused with glitter brows. No, metallic brows are more subtle, elegant and very cool. It’s like the next step in brow evolution. 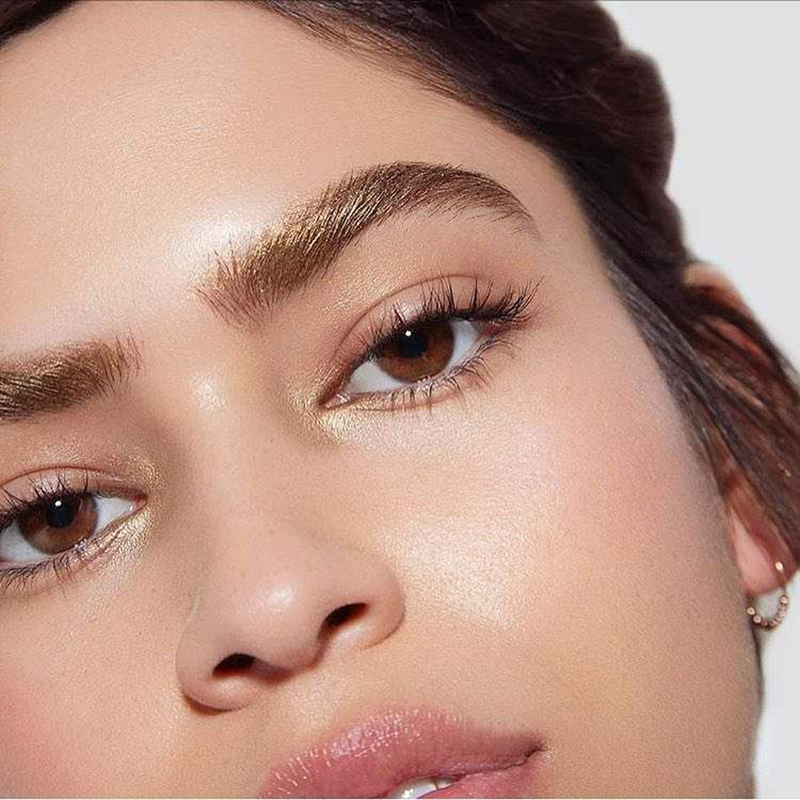 Just get yourself a gold, copper or silver brow mascara, depending on your hair color, and lightly brush it through your brows to add a bit of metallic highlight to them. Alternatively this look can be achieved with loose metallic eyeshadow and some brow gel, vaseline or clear mascara. 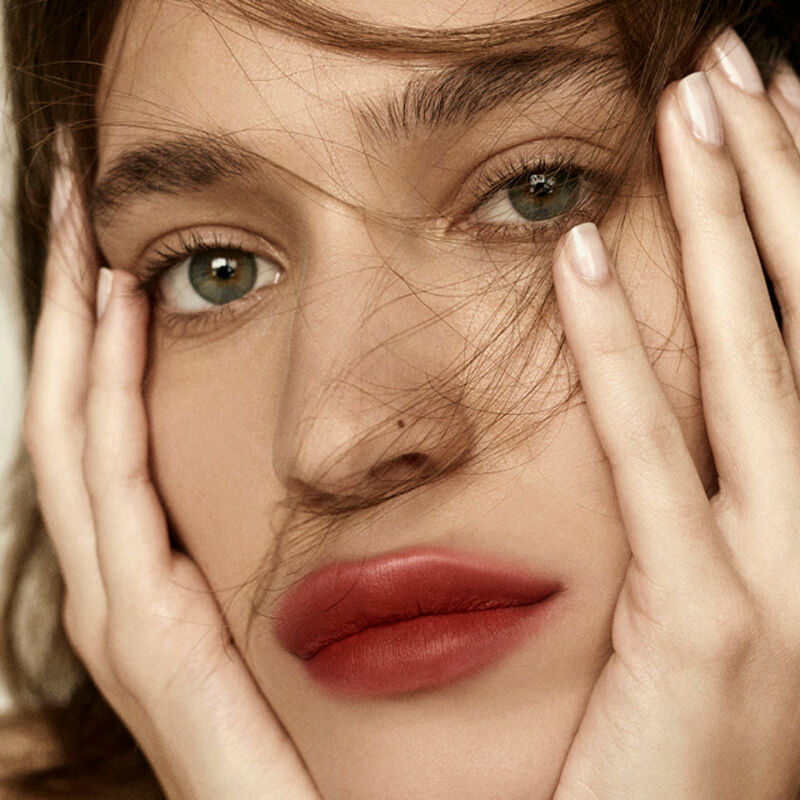 As much as we love the perfectly drawn on matte lips, we gotta admit it’s not the easiest makeup trend. Not everyone has perfect hand-eye coordination and perfectly still hands. Let’s be honest, it’s hard to create that perfect matte lip first thing in the morning. Well, in 2018 you can take a break from that and embrace the blurred lips trend. No longer do you have to be precise with the outline of your lips and you can stop worrying that your lipstick will smudge as you eat. It’s all fine. It’s a trend. So you know how highlighting was everywhere this year? All beauty gurus were basically competing as to who’s highlight is more blinding. It was fun while it lasted, but it’s time for a change now. It’s all about glossy looks in 2018. So get yourself some non-sticky face gloss and dab some onto your eyelids, cheekbones and collar bones for a lovely dewy look. 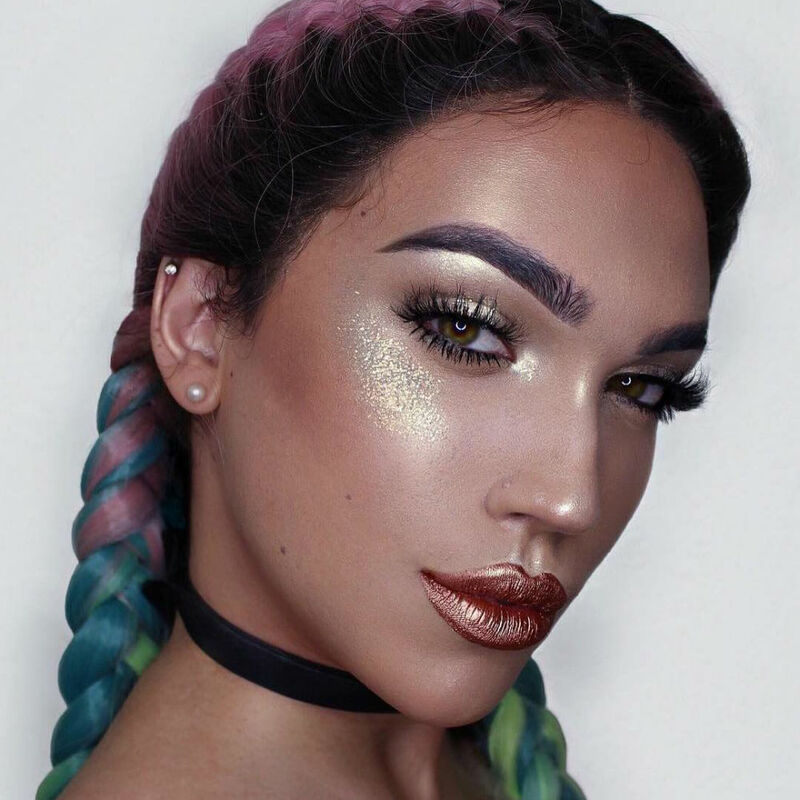 If you loved blinding highlighters and don’t want to give it up, how about upping your game wit some glitter strobing? It’s going to be very popular in 2018. It’s basically highlighter but on a whole new level. Use your favourite strobing creams, highlighting powders and fine glitter to achieve this look. And you know what’s the best thing about it? You don’t have to worry about it looking natural. It’s all about standing out, and being bold. Use funky colors to match your eyeshadow or go for metallics for a futuristic look. Speaking of glitter, you don’t have to stop with just your cheeks. 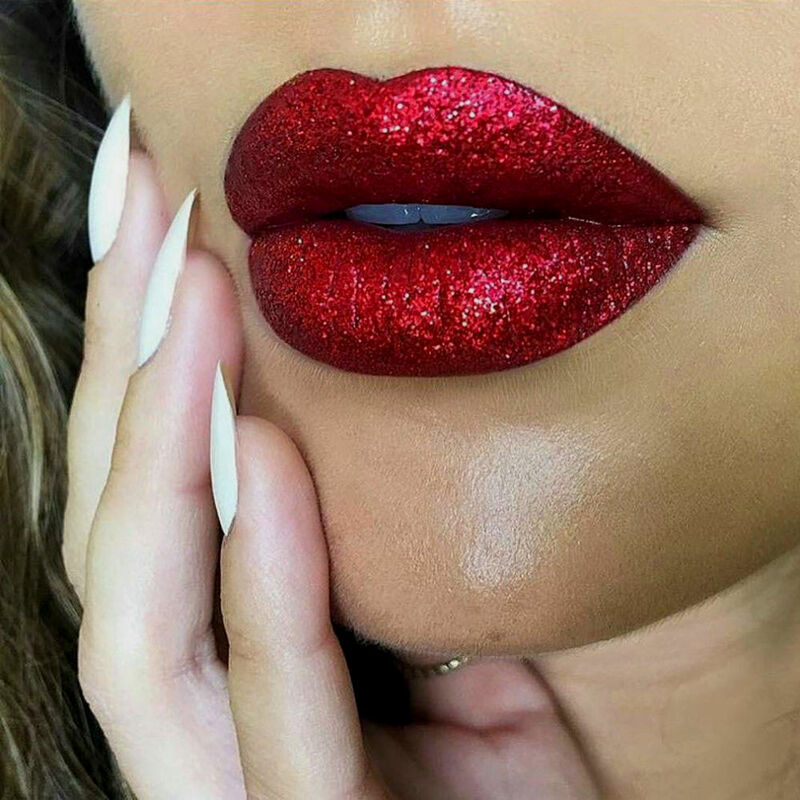 Glitter lips are also a huge trend for 2018. Yes, it’s precise, and yeah, it might not be very practical, we can’t imagine eating or drinking anything with this look. But you’ve got to admit that it’s a great way to truly stand out and shine at a special event or a New Year’s party. 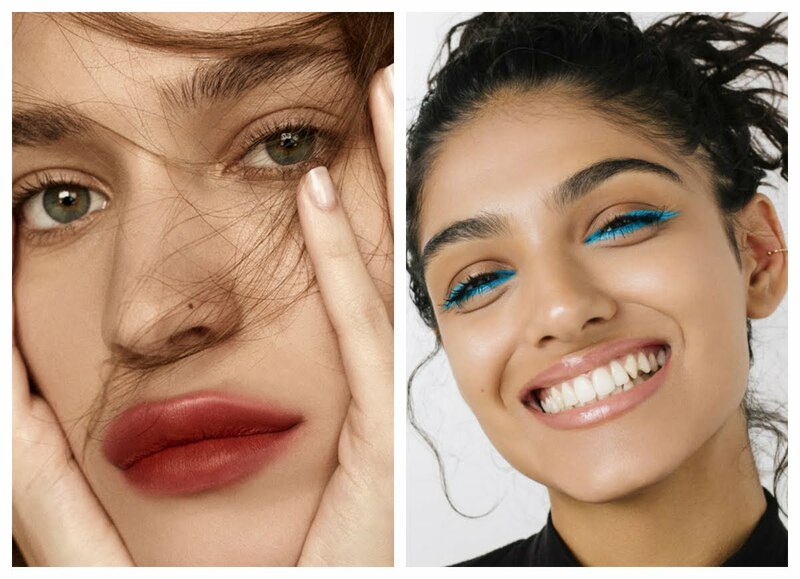 Underliner is a very interesting trend. It takes everything we’ve ever known about lining our eyes and turns it upside down. It’s unusual, unexpected and pretty wearable. It’s a great way to add a pop of bright color to your look. 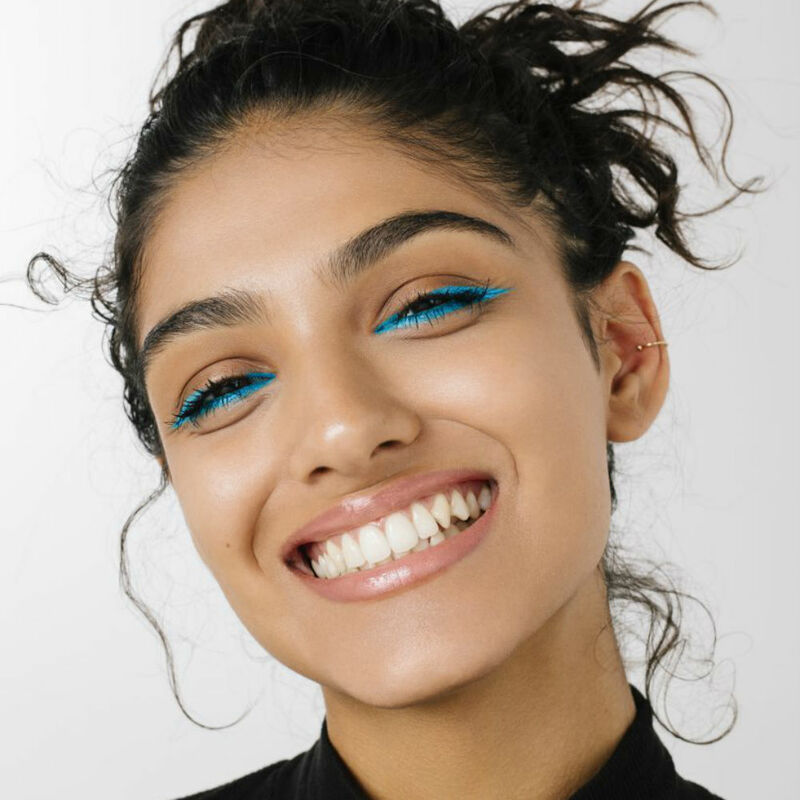 Slashes of neon pink, lines of bright blue, an upside down glittery cat eye, all of these are cool options to try. Basically, when it comes to underliner – anything goes. We honestly think it can be subtle enough for everyday looks, and it’ll definitely work for special event. But maybe don’t wear this look to an emotional event like a wedding, cause imagine what will happen to your underliner when you shed those happy tears. 2017 was all about shorter hair. Bobs and lobs were everywhere. Everyone and their um chopped off their hair and traded in their long locks for a shorter, trendier, easier to manage lob haircut. We hate to break the news but 2018 is going to be all about super long hair. Yeah, we know, for most of us it’s going to be difficult to achieve. Those of you who didn’t follow the trend and stuck with your long locks – celebrate, you’re halfway there. Those who went for the chop – it’s time to grow out that hair with the help of various masks, hair stimulating shampoos and serums, or, you know, you can always get extensions. When we first heard this term we immediately thought about Beyonce’s song, but turns out that’s not what it’s all about. Wave formation is a hair styling technique that is taking over Hollywood and the rest of the world. It’s all about just the right way to create natural looking, laid back waves, without going too far and ending up with glam curls. 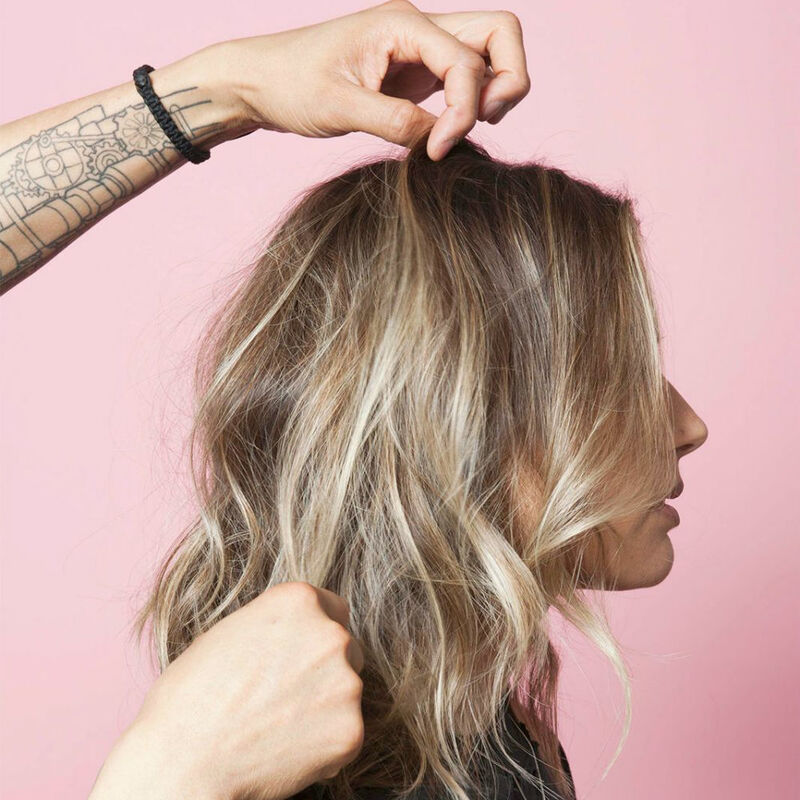 Basically the secret is in tapping your hair with a curling wand in the right places to create waves instead of curling it the old fashioned way. It’s perfect for those who are sticking with their lobs for 2018. When it comes to unnatural and bright hair colors – we all know the upkeep is hard. Those colors fade so quickly. Well, it looks like blorange is here to save you. What kind of a color is blorange we hear you say. 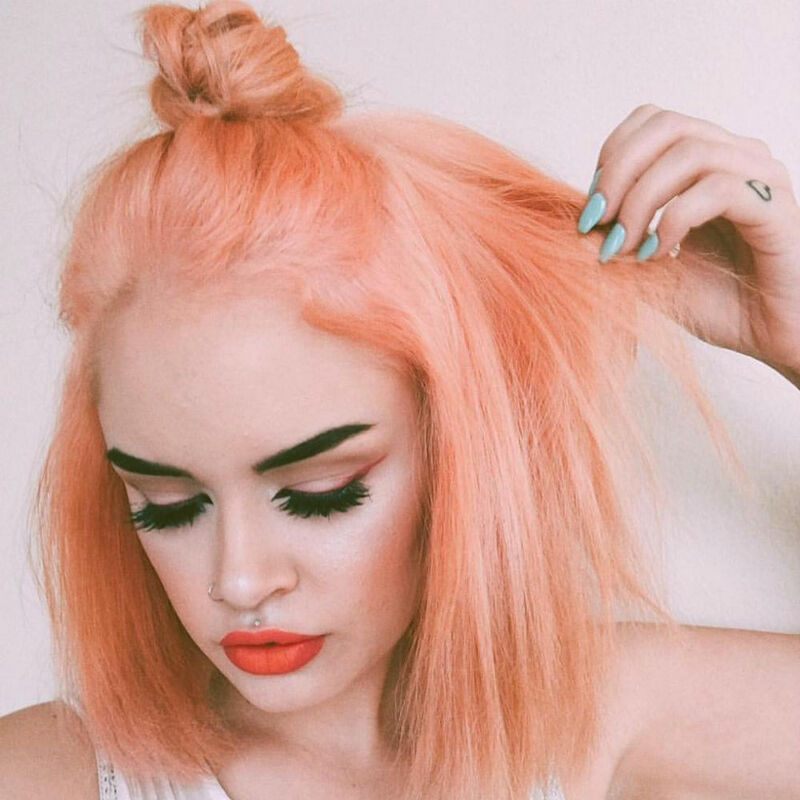 It’s a mix of blonde and orange and it’s the new trend that’s taking over the world. It’s basically the new rose gold. Except the upkeep is easier, because it’s supposed to look a bit washed out, and orange pigments are known for being the hardest to get out of your hair. So you know, once you achieve this look, it’s staying for a long while.